Eco bottle 1L with pouch, Pink Rush, Black Speed, Handy Cool, Hipster Pop High Handolier, Thirstquake Tumbler with pouch, Orange Beverage Buddy. 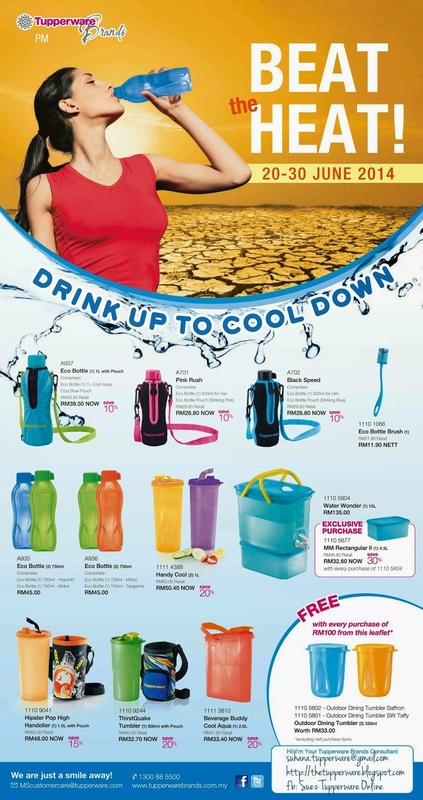 Get free 2 Outdoor Dining Tumbler with every purchase of RM100 from this leaflet. Contact us now to get more discount! Email to suhana.tupperware@gmail.com now.